Ekiti State Governor, Ayodele Fayose, has threatened to challenge the reabsorption of former President Olusegun Obasanjo in court, if he decides to rejoin the Peoples Democratic Party (PDP). 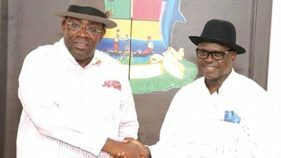 The governor said that, unlike those begging and pleading for him to return to PDP, the former president does not have any electoral value needed in the party. 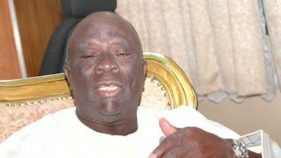 The governor urged Nigerians not to vote anybody with military background as president because they bastardised the country, noting that they are not politicians and their background is undemocratic. Fayose described Lamido as eminently qualified to be president of Nigeria, saying he remains one of the few detribalised Fulani leaders with capacity and exposure to deliver. “ I am among those that would continue to celebrate your contributions to our country. I believe in Fulani people, every tribe has the good and the bad. You are one of the Fulani men that I know have the abilities to perform. “The military bastardised the system, they destroyed this country, this is why Nigerians should stop voting military men, they are not politicians. “We lived in this country and grew up to know that everyone from any tribe is our brother, but when the government fails, the nation fails. APC have no capacity to lead our country. 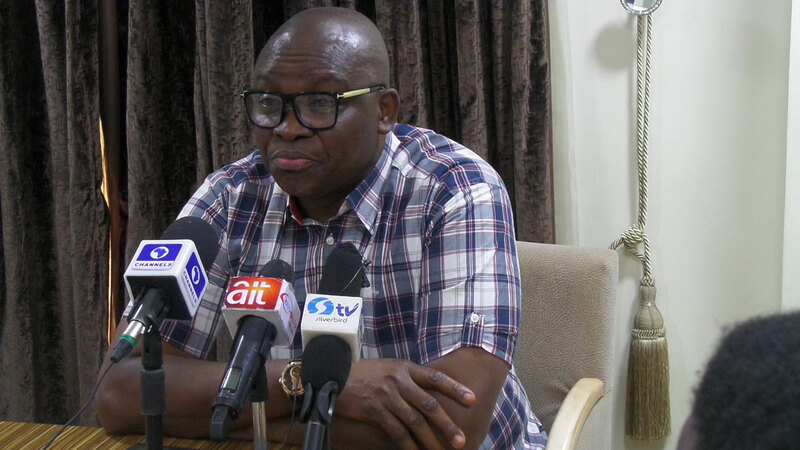 “Whether you call it presidential or vice presidential aspiration, all I know is that you will come to visit me in Aso Rock in 2019,” Fayose vowed. In his remarks, Lamido, said Nigerians made a grievous mistake by electing President Muhammadu Buhari in the 2015 presidential poll. Lamido, a chieftain of the Peoples Democratic Party (PDP) and presidential aspirant, said Nigeria has never witnessed hatred and bloodshed across ethnic and religious divides since independence as being witnessed under Buhari. 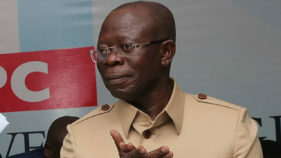 He lauded Fayose for his courage and criticism of the Buhari’s government, describing the governor’s bravery as an impetus to the country’s fledging democracy and tonic that has been spurring the opposition party ahead of the next year’s general election.